Happy spring, stitching friends! We are excited to reveal our mystery boxes for the year, and thought it would be easiest to answer questions here. It was a blast to create these for you last year and we have lots of fun goodies planned ahead. This year, we will be offering three mystery boxes! New this year is a summer/Americana mini box, and of course, Halloween and Christmas will return again. Please feel free to skip ahead to the FAQ below if you have a specific question. A rich and traditional autumnal Halloween palette. All of our favorite hues of the holiday season with a bit of shimmer and sparkle! NEW this year, we are offering two sizes of boxes for both Halloween and Christmas, a mini version and the original full size version. 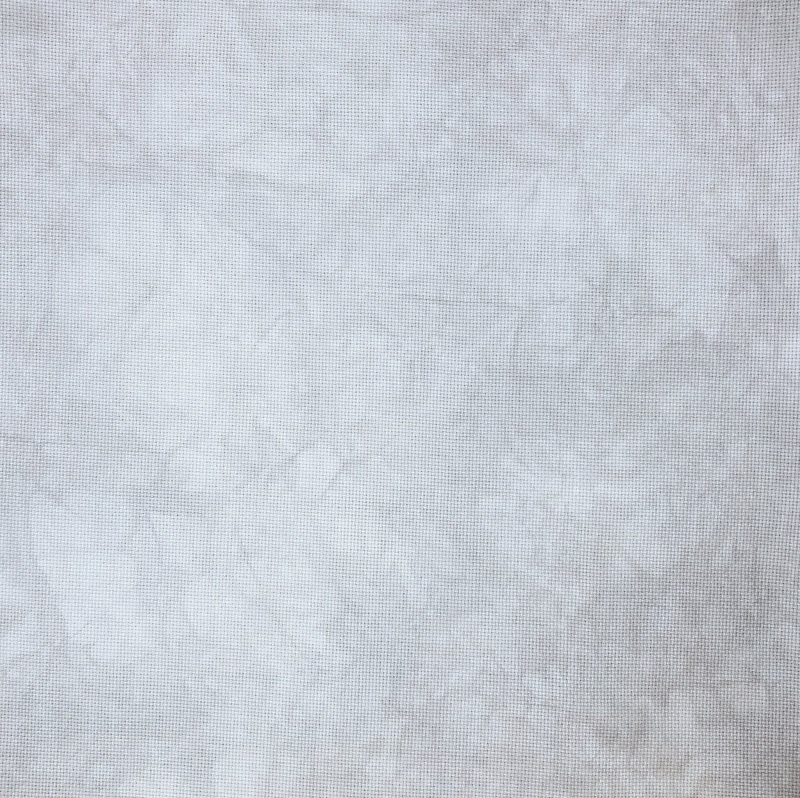 An exclusive pattern designed by someone we know you know and love! Q: What is the main difference between the mini and full size boxes? A: The full size boxes will contain everything included in the mini boxes, plus extra threads, fabrics and notions. There is overlap between the two and each will still contain a variety of the same items, with fewer items being in the mini box. Q: How do I order a box? Pre-orders will open on the dates listed above for each box, and orders/deposits will be accepted online only through www.colourandcotton.com beginning on those dates. If you'd like to join the exclusive Mystery Box mailing list, we will be sure to notify you ahead of each release. Final payment for the balance remaining of the box will be collected via invoice just prior to shipment. Q: Do you ship worldwide? How much is shipping? Q: Can you tell us who the designer is for the Halloween and Christmas boxes? A: Not quite yet, but stay tuned! Q: Will there be a pattern in the mini box? A: There will not be a pattern in the Stars & Stripes Mini Mystery Box. There will be a pattern included in both the mini and full size Halloween and Christmas boxes. Q: How many boxes will be available? A: It varies by box, but we DO anticipate that some may sell out so we encourage you to place your deposit quickly if you are interested. We will be happy to utilize a waitlist again this year! 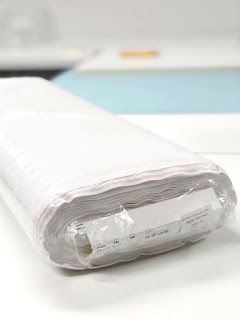 Q: May I choose the stitching fabric in my box? A: Yes! You will have the option to choose your stitching fabric/count upon placing your deposit. Any other questions? 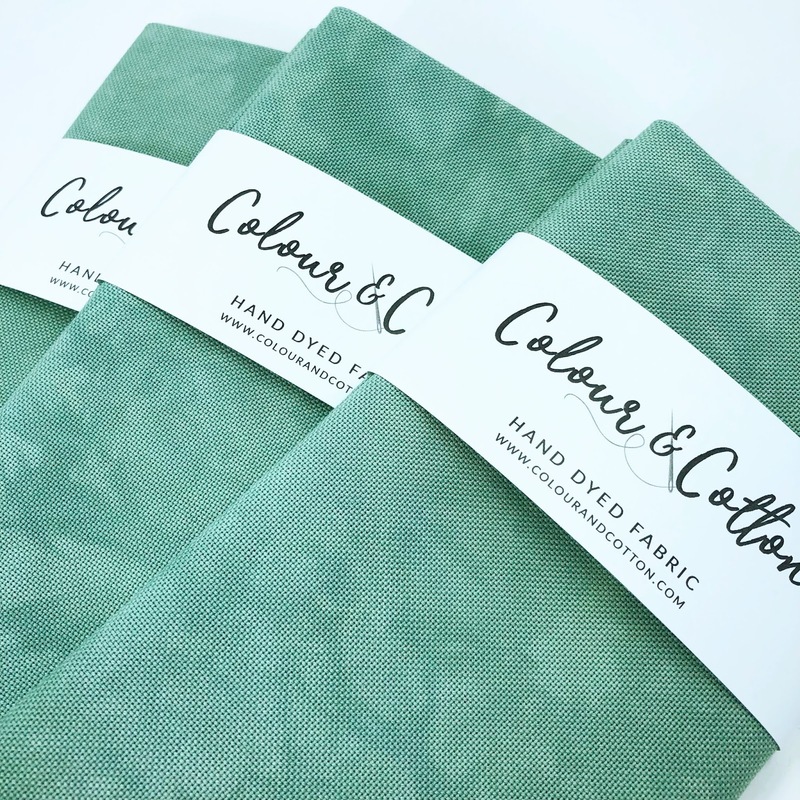 Please feel free to email us at support@colourandcotton.com or leave a comment below! As always, thank you so much for your support and excitement! The 2018 Vintage Halloween Mystery Box! Our first every mystery boxes took flight last week and we had such a blast watching everyone unpack their goodies! Thank you so much to everyone who participated and ordered...we were beyond blown away by the interest shown. Curious as to what was included in this year's box? Let's dig in! What is Vintage Halloween, really? When I think of Halloween of years' past, I can't help but think of the Victorian-era spiritualists and their seances in velvety parlors, of fortune tellers, mediums, and a general fascination of the occult which gripped some parts of American society through the end of the Victorian years. A welcome note and a new chart release - our first design since becoming Colour and Cotton. The chart design - "Fate" - can be purchased as a digital download in our shop for anyone who might be interested! Some of the box contents served as optional substitutions, but the design is charted with DMC threads. Also included were some assorted notions! Tiny snips in a matte black finish. 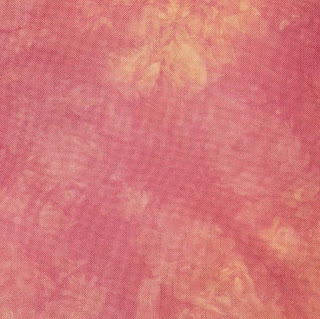 Hand dyed cotton ric rac, meant to look like aged stone! An assortment of size 11/0 seed beads, a custom color blend we chose and combined. A fabulous vintage ouija needle minder made for us by Mad For Minders! 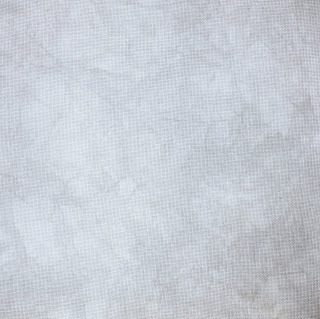 Next, a layer of cotton and silk threads. 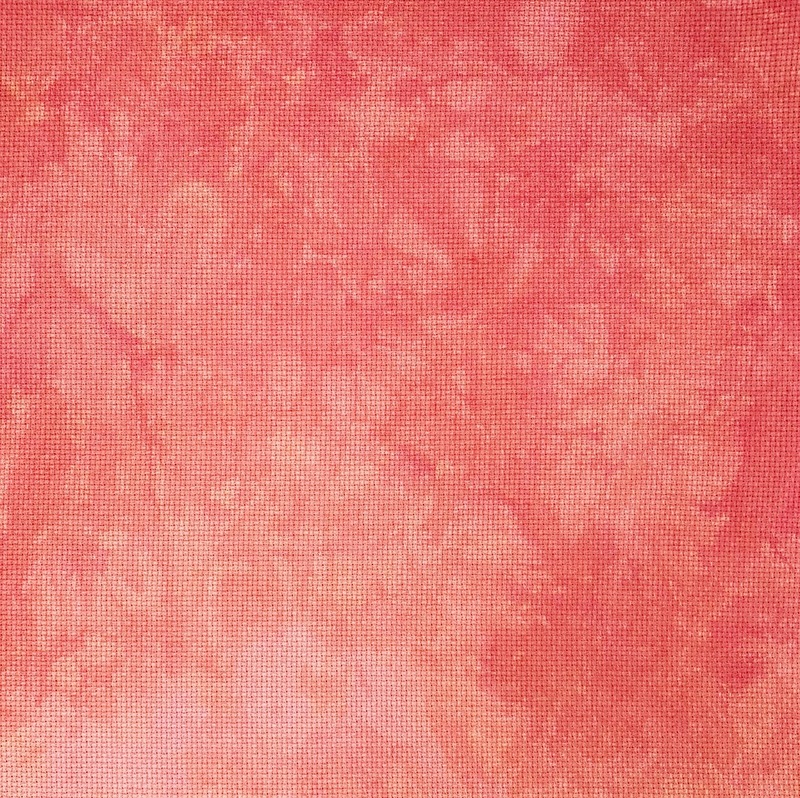 Each box contained 10 limited edition cotton colors and 2 hand dyed silk limited edition colors. Two stitching fabrics and two finishing fabrics were also provided, including a piece of hand dyed quilting cotton and hand dyed velveteen for backing and/or finishing! We hope you had a blast unboxing this year's Halloween treat! PS - we sadly do not have any more full boxes remaining, but we do, as of this posting, have very limited quantities of some of the notions and threads available in our shop - once they are sold out, they are gone! I love talking about the process of dyeing. 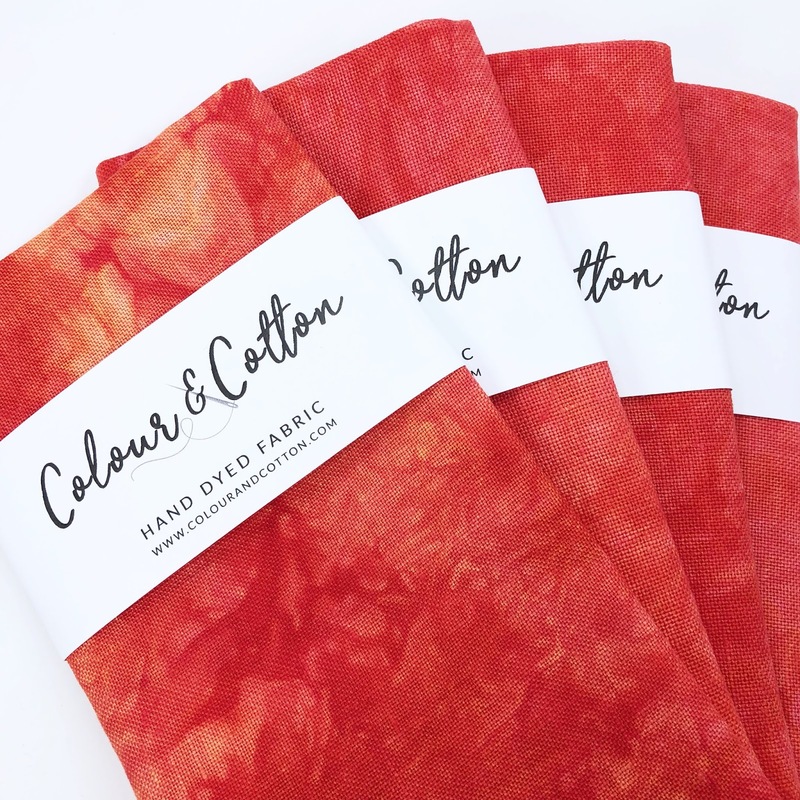 Have you ever wondered what happens to your hand dyed fabric prior to starting your lovely stitching projects? Today I'm sharing a peek into the process so that you can see just what happens to our hand dyed fabric at each step along its journey. Our stitching fabric arrives to us on large continuous bolts. Zweigart makes our linens, aida, and Lugana evenweave of choice, and we also use Permin aida and Jobelan, depending on availability. 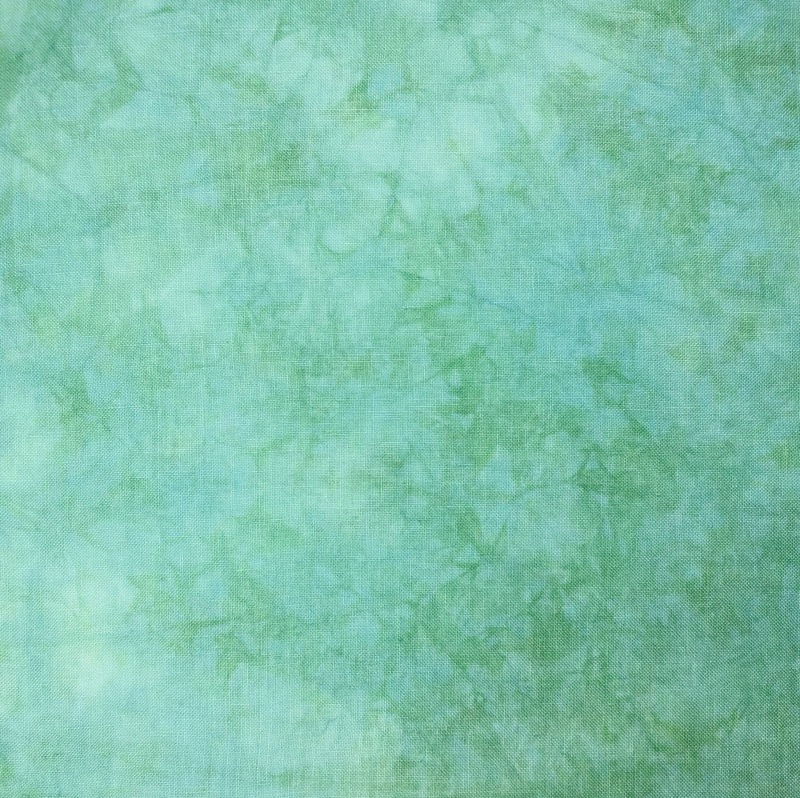 The fabric is first cut down into half-yard or one-yard pieces prior to dyeing. 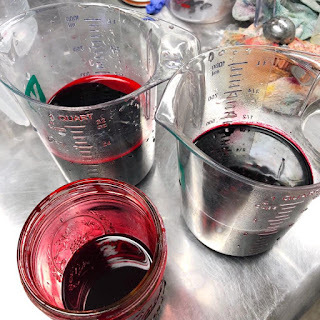 My preference is to dye in fat-half-yard pieces for a few reasons - physically, the fabric is heavy when wet during the dyeing process and it's easier to manage in smaller pieces. But more importantly, a smaller piece of fabric allows me greater control over the way the dye affects the piece in a uniform manner. 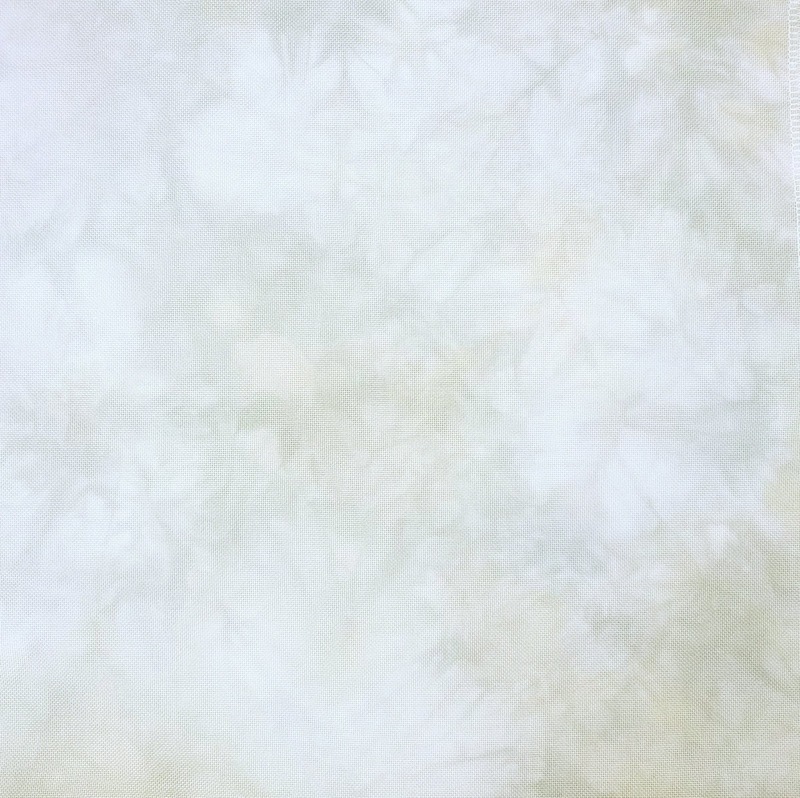 My fabric dyeing style (and personal stitching preference) is for fabrics that are more subtle in their variegation and mottling, and I've found that working with half-yard pieces produces a result that I'm happiest with. Once the fabric is cut into dyeing-size pieces from the bolt, the cut edges are serged. If you've ever had the experience of washing a piece of linen or aida without finished edges, you might have opened your washer to find a spaghetti mess of frayed ends. 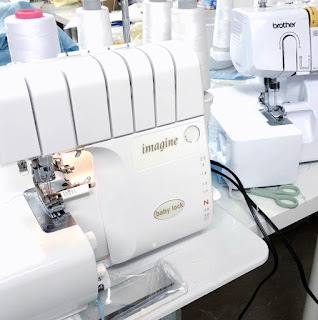 Serging before dyeing prevents a lot of headaches and wasted inches. Each fabric type is tagged and stored, waiting to be dyed. 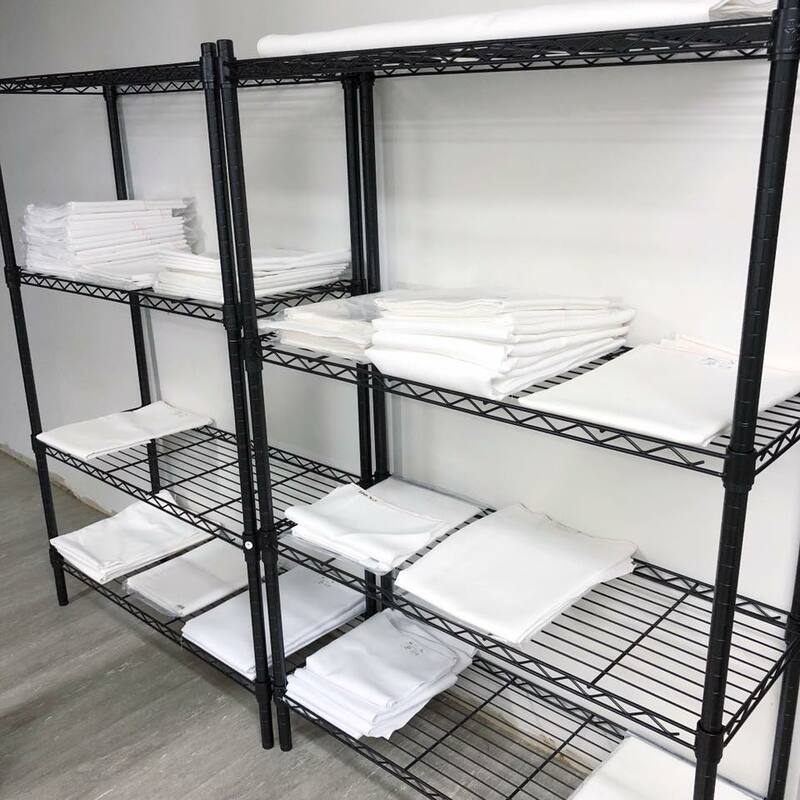 We could use a bit more fabric on the shelves! When it comes time to dye, the fabrics go into the washing machine for a good soak and scouring with an odorless textile detergent. 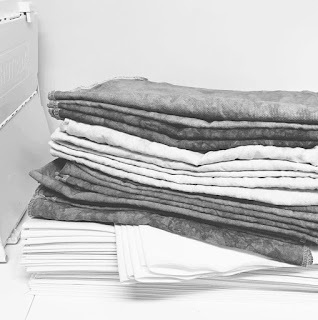 Zweigart linens in particularly come with sizing applied to them - an added material that serves to "starch" and stiffen the fabric. 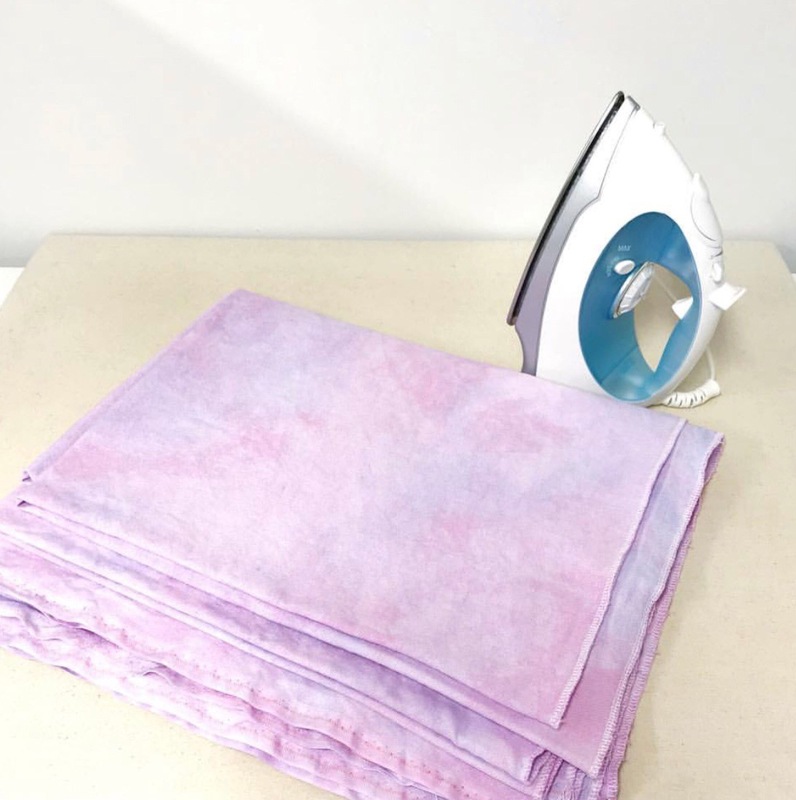 Washing the fabric prior to dyeing removes this barrier and allows the dye to more uniformly penetrate the fabric, producing a more even result. 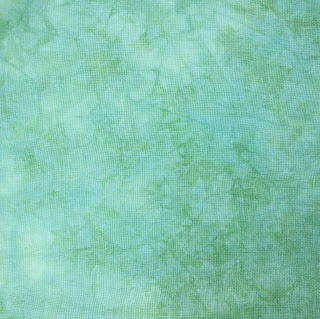 I also believe that dyeing damp as opposed to dry fabrics produces a more diffused mottling, so that's an added bonus. 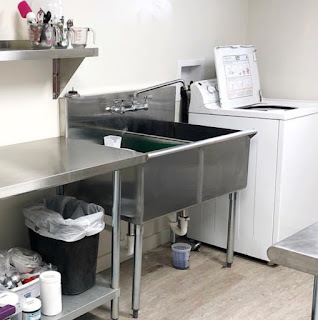 We have a dedicated washing machine in the studio that only handles our dyed fabrics. 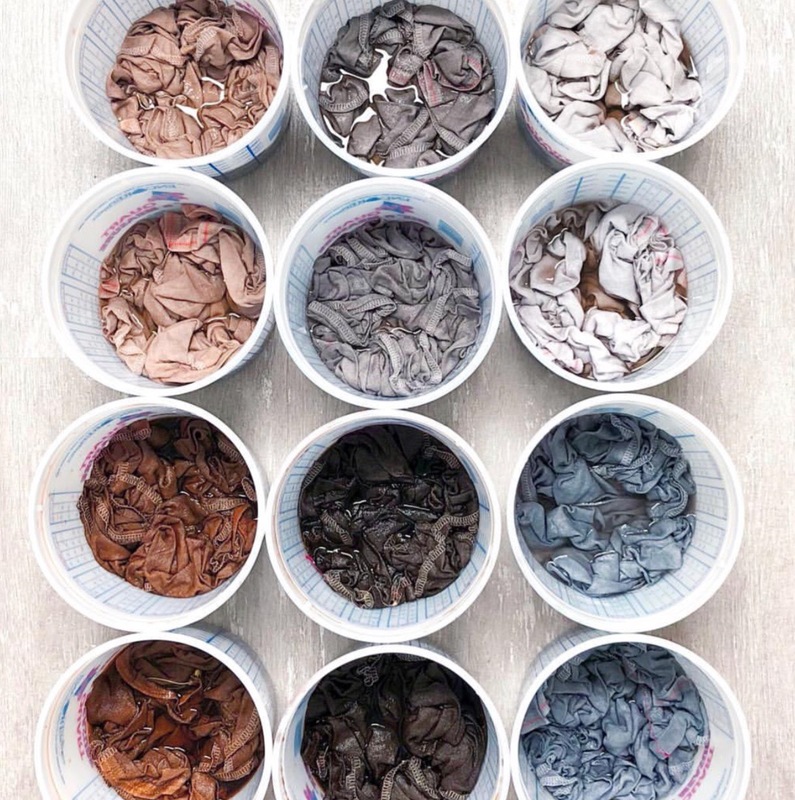 From the washing machine, the fabrics go straight to the "dye pots"where they are dyed using a modified low immersion dyeing technique. 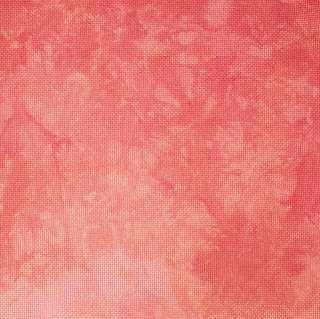 We use a textile industry standard fiber reactive dye for all of our fabrics and threads. If you've ever tie-dyed, you likely used this type of dye. It's mixed from a powder concentrate and produces a colorfast and lightfast dye result. 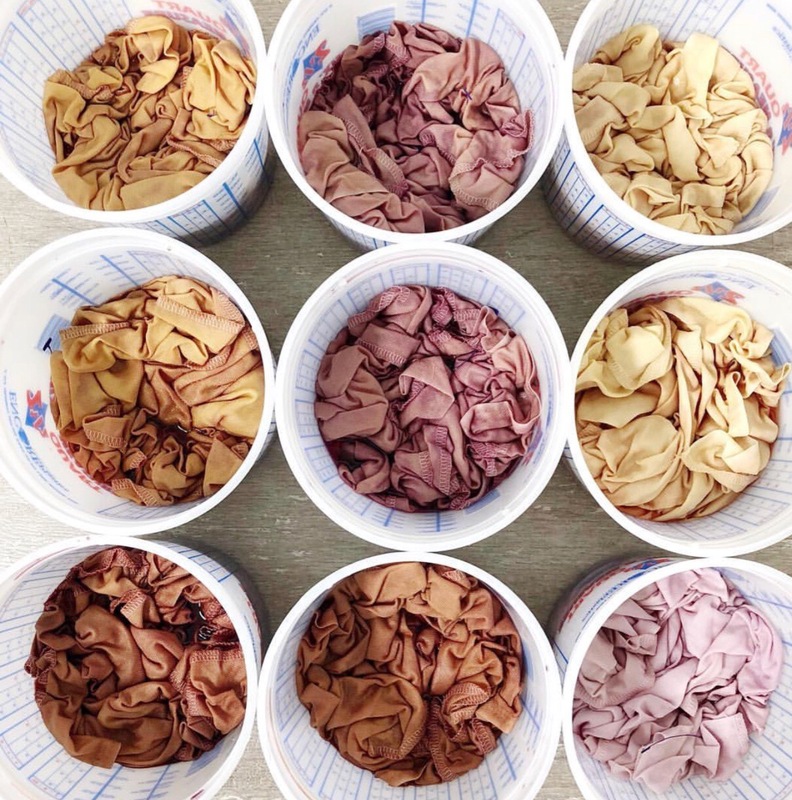 The liquid dye is mixed in batches depending on the amount of fabric to be dyed that day. Depending on the color, it only takes about one cup of liquid to dye a fat-half-yard of fabric. Once the dye has been applied, the fabric sits for anywhere from 12-24 hours. Then back to the rinsing process they go. 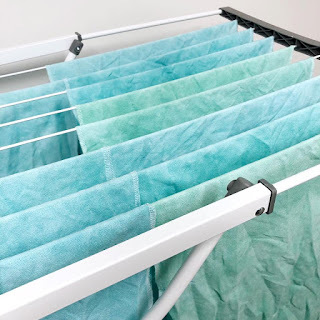 They are washed again at least once (or twice with an extra rinse for dark and saturated colors) in the washing machine, until there is no color bleed from the fabric. 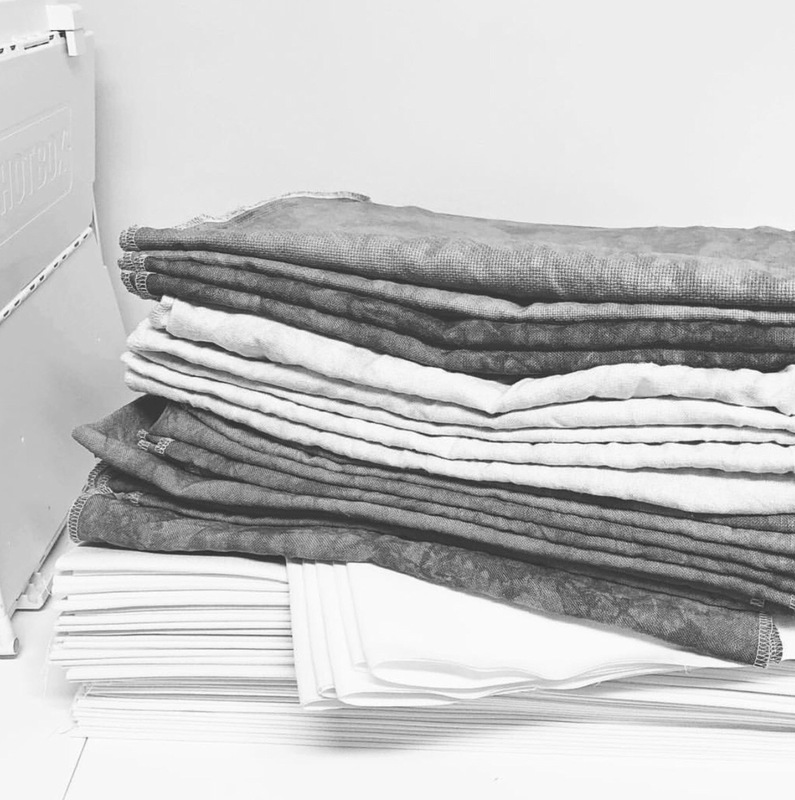 A pile of dried linens waiting to be ironed. Many will be cut into fat quarter and fat eighth yard pieces and the new cut edges will be serged again. Always lots of ironing to be had around here! Luckily, my grandma "Gigi" often comes to the studio and irons with me, and boy, is she fast. After ironing, if the fabric is a new colorway, we'll give it a brief photo shoot in a special light box. I do my very best to take accurate colors of each fabric, and sometimes a little photo editing is necessary, to make sure the color is reflected as closely as possible. And finally, the fabric is folded and tagged with labels, ready to find their new homes. And that is how our colorful little fabrics come to be. 😊 I hope you've enjoyed a little peek behind the scenes! A huge thank you to all who entered this week's giveaways...I must confess I spent too much time looking up all of the wonderful Halloween and fall patterns and designers that you shared in the comments and my stitching wishlist has grown exponentially! For our thread club subscription winners, the two names drawn are Crafty Angi and Cherise Raven! Angi and Cherise will each receive our 10-skein subscription for the next six months, beginning with this month's July shipment! Woohoo! The winner of our Limited Edition Vintage Halloween Box is Lauren McKinney! Thank you again to all who participated...we have quite a few giveaways planned for the next several months so there will be plenty of chances to be a lucky winner! Lauren, Cherise and Angi - please email me at support@colourandcotton.com so that we can arrange your prizes! Another GIVEAWAY! 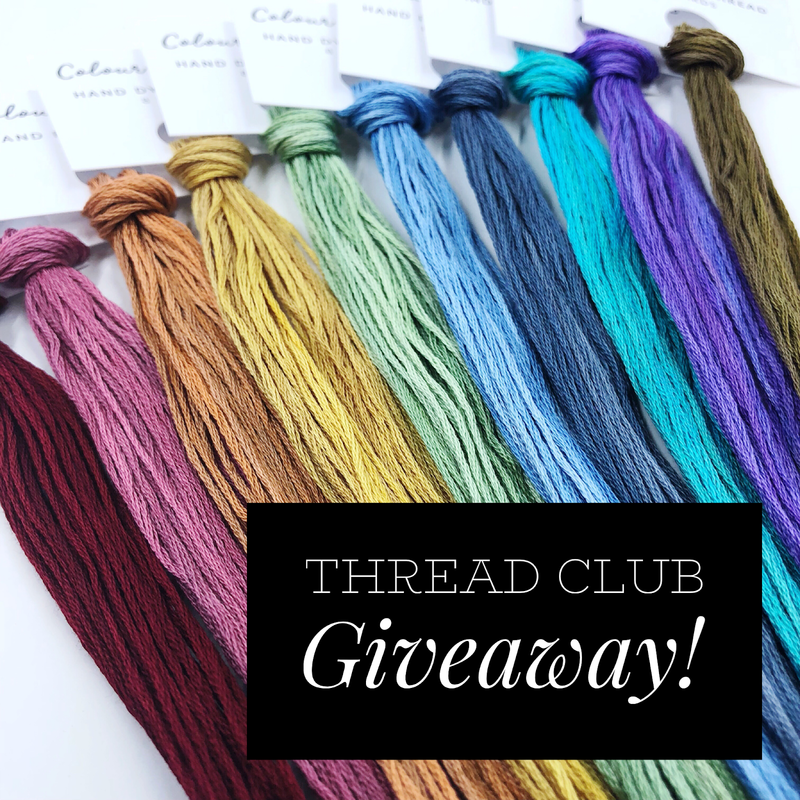 A six-month subscription to our Thread Club! We've got another gift to give away! 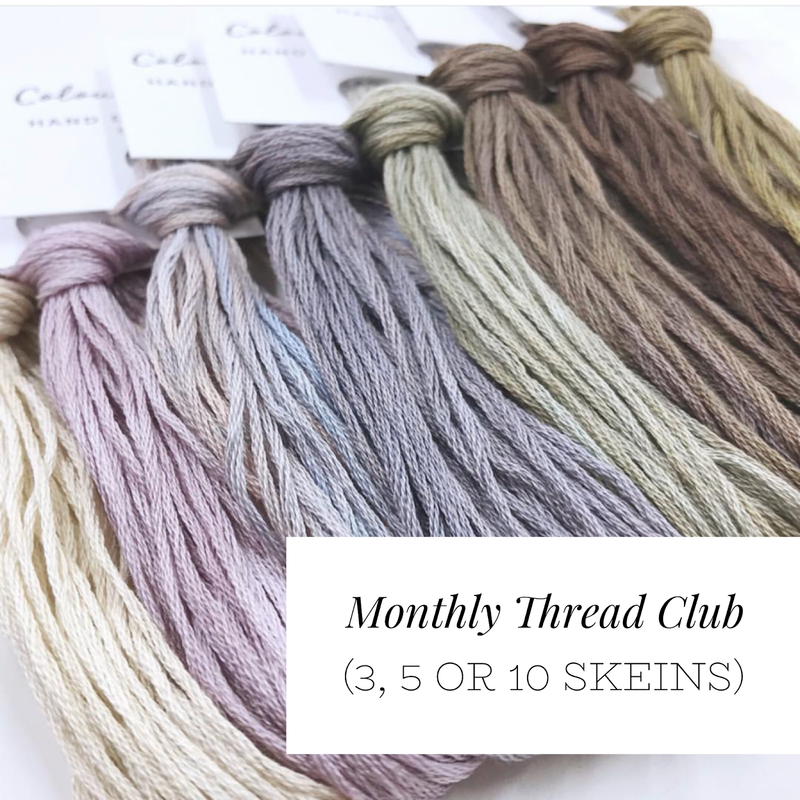 TWO 6-month subscriptions to our 10-skein monthly thread club! If you are an existing subscriber you are more than welcome to enter to have this giveaway applied to your existing account. The drawing will be Saturday, July 14 at noon CST. 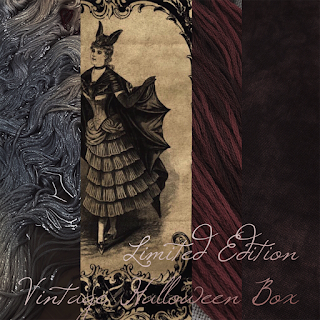 Last week we launched our first limited edition mystery box - Vintage Halloween - and I can't tell you how excited I am about curating this for you! The response was overwhelming and from the bottom of my heart I can't thank you enough for your enthusiasm. What will our first mystery box entail, and how did this idea come about? As a dyer I absolutely love working in color palettes and find so much inspiration in working with a theme or specific atmosphere in mind. Halloween is one of my favorite holidays and I live for Halloween stitching, so it naturally felt like a wonderful first theme for the box concept, which is something I've been toying with for some time. 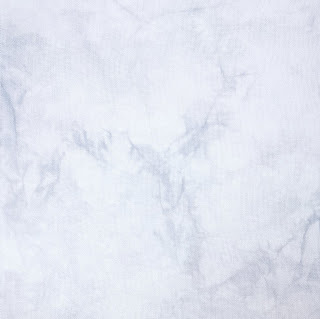 The mystery box will include ten skeins of hand dyed stranded cotton thread, two skeins of hand dyed silk (12-ply) thread, two pieces of hand dyed fabric for stitching, one piece of hand dyed cotton for finishing, and other notions and goodies which are coming from a couple of my favorite vendors in the stitching community! Each of the threads and fabrics will suit a vintage, primitive Halloween theme, although the colors can stand on their own as well. 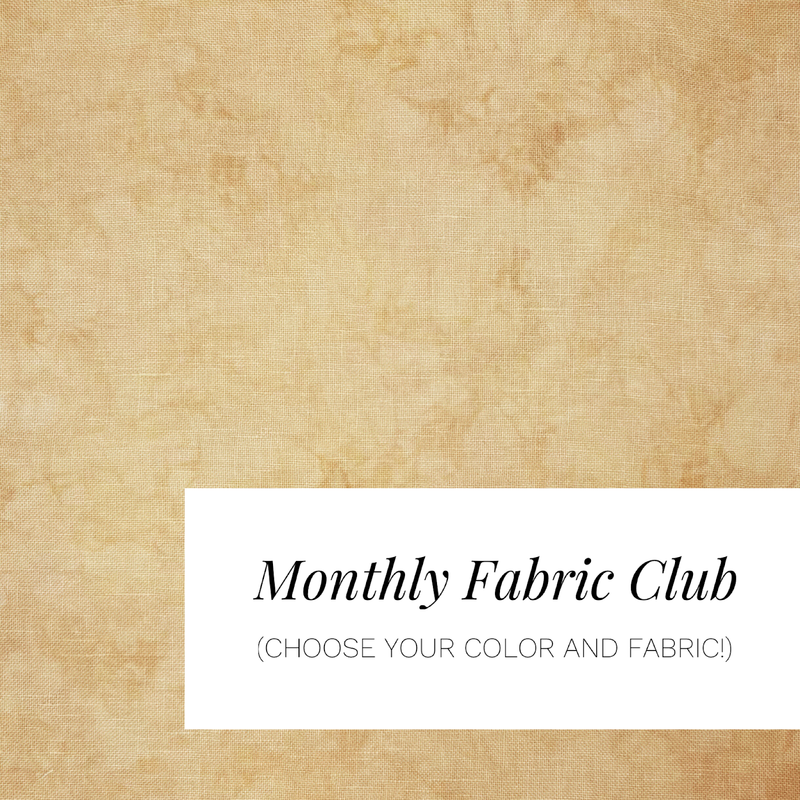 New fabric colors from the June club! 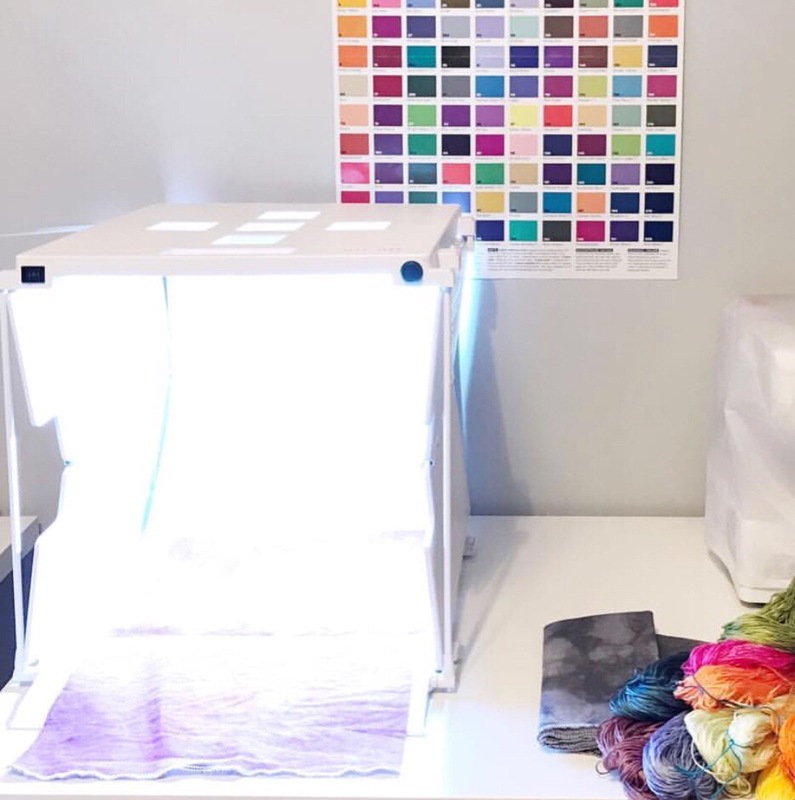 Colour and Cotton is based in St. Louis, Missouri offering hand dyed fabrics, fibers and more for all kinds of stitching projects. This is a peak into the days spent in our studio...thanks for stopping by! Colour and Cotton. Simple theme. Powered by Blogger.